SWEETYs CAKE Classes,we provides Summer Camp (Cooking & Baking) classes,Cooking (Baking Classes) Classes,Cooking (Chocolate Making Classes) Classes to all. 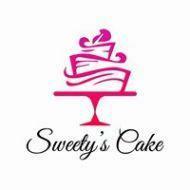 SWEETYs CAKE Classes conducts classes in Cooking. It is located in Malad East, Mumbai. It takes Regular Classes- at the Institute.